Enter the Mi Box. 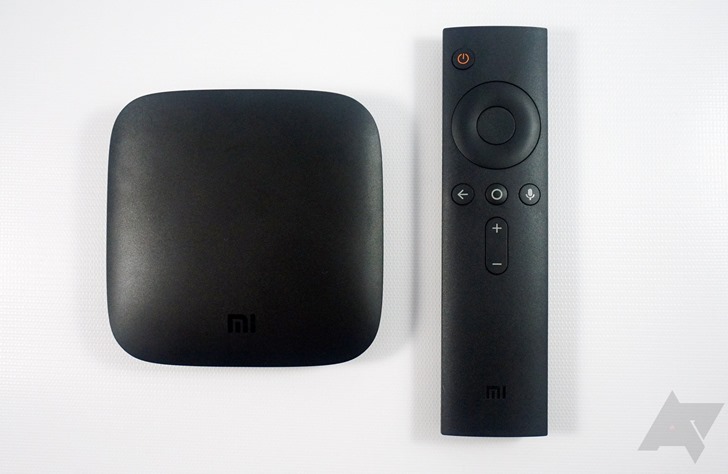 This rookie Android TV entry from Chinese manufacturer Xiaomi is priced at just $70. It makes a compelling offer of just enough extra features on top of something like Chromecast or Roku to justify the extra cost, while still being the cheapest ATV device available at retail. With full access to Android TV apps plus the requisite Cast streaming capability, decent (if bland) specs, and a voice-control remote, the Mi Box hits a lot of positive notes. That's doubly true if you've been waiting over a year for a new stand-alone Android TV option, which has been limited to the so-so Nexus Player, the deservedly mocked Razer Forge TV, and NVIDIA's excellent but expensive SHIELD TV. 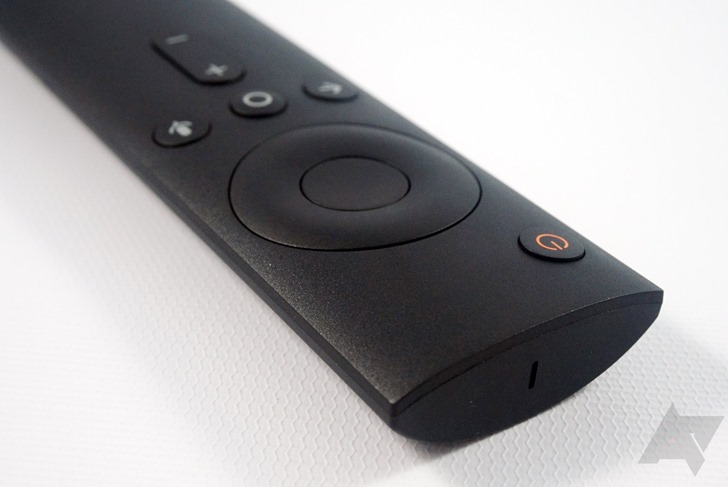 How does this budget streaming gadget fare? Surprisingly well. The Mi Box can handle everything that other Android TV devices can with the exception of high-powered gaming, and the price tag is low enough to sneak into your entertainment budget. But once again the hardware is let down by Android TV; the immaturity of the platform - and its trailing position in app support - means that this victory rings hollow in the larger set-top box market. 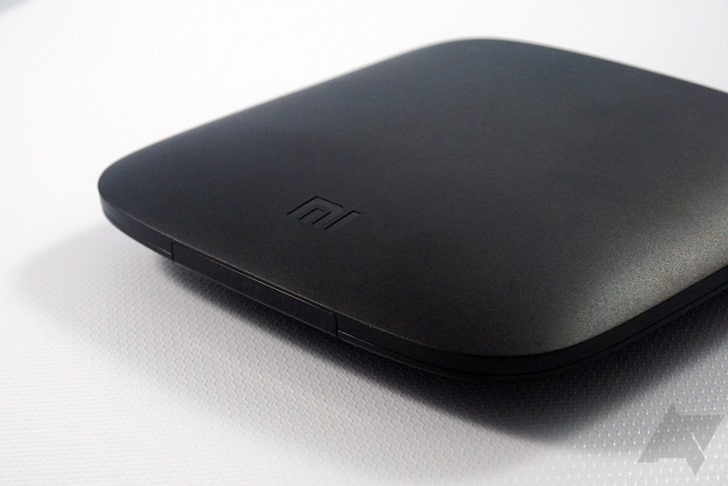 Price At $70, the Mi Box is unbeatable for Android TV... though there are other streaming devices that are cheaper. 4K support There aren't many set-top boxes at this price point that support 4K resolution. Solid remote The small remote isn't anything fancy, but it's well-designed and easy to use in the dark. AAA batteries mean no recharging. Extras The Mi Box comes with "$76 of free offers," including VUDU, Pandora, CBS All Access, and Sling TV... though there are some caveats. 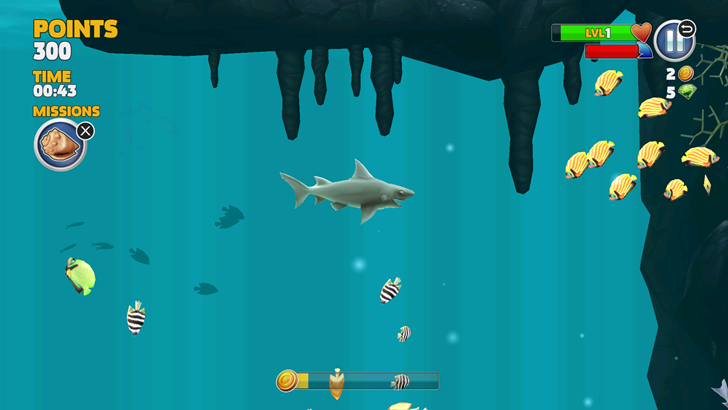 Middling performance Even basic 3D games stutter and chop on the Mi Box. Poor specs One of Android TV's best extras over the competition is games and local media playback... so why does this thing have only 8GB of storage? A few kinks to work out Though Android TV 6.0 is fairly good overall, the Mi Box had some errors in startup and voice detection. Updates are uncertain. The Mi Box gets the job done and doesn't get in anyone's way. 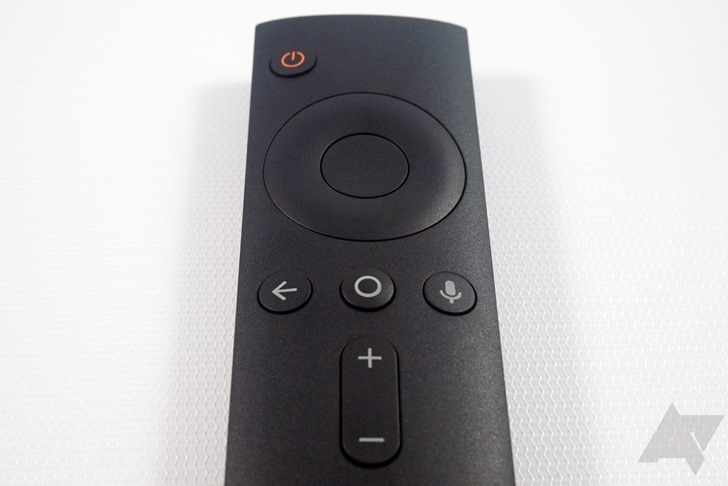 You can think of the Mi Box as a slightly newer version of the Nexus Player. Its tiny rounded body is less than four inches wide and deep and only about three quarters of an inch tall, making it an easy fit in just about any entertainment center. Thanks to the Bluetooth remote it doesn't even need line-of-sight - you can stick it behind your television and it'll work just fine. Inside is a "Quadcore Cortex-A53 2.0GHz" processor according to the spec sheet, and the vendor name is probably omitted because Amlogic isn't exactly a household name in the US. But that's more than enough to handle HD video when paired to a Mali 450 GPU, and might even be enough to handle 4K resolution. RAM is just 2GB, and storage is even more laughable at 8GB - what is it with making set-top boxes that are positively crippled for local file playback? Speaking of slots, there aren't many to be found. On the back of the plastic squircle is an HDMI port, a headphone jack, a power adapter port (not MicroUSB or USB-C, so no playing off of a battery pack or simple phone charger) and one lonely USB 2.0 port for input or data. It's pretty sparse, and perhaps an Ethernet port would be appreciated for those users who prefer a hardline, but for the price it's more than agreeable. The wall wart power adapter is skinny but long, so it'll work well with surge protectors but not so great for cramped wall outlets. 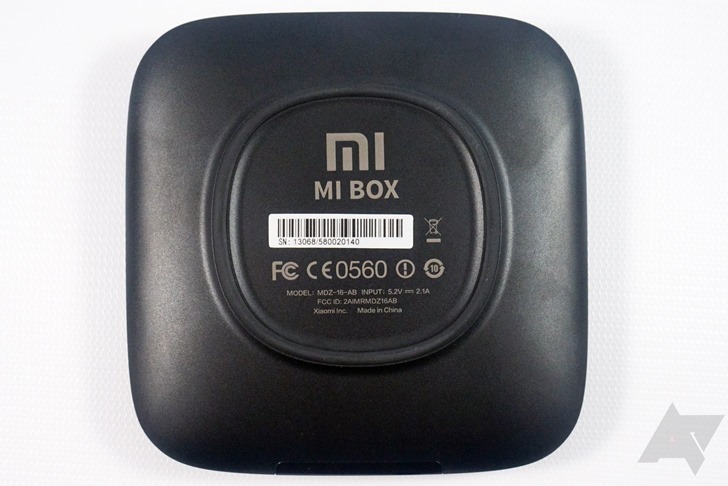 Other than that, the Mi Box is a nondescript lump of plastic. Not particularly attractive or offensive, it gets the job done and doesn't get in anyone's way. The only adornment on the top is a recessed black "Mi" logo, and on the front is a weak white LED to show that the device is on. A circular base keeps the light gadget from slipping around, with a barcode and regulatory labels inside. 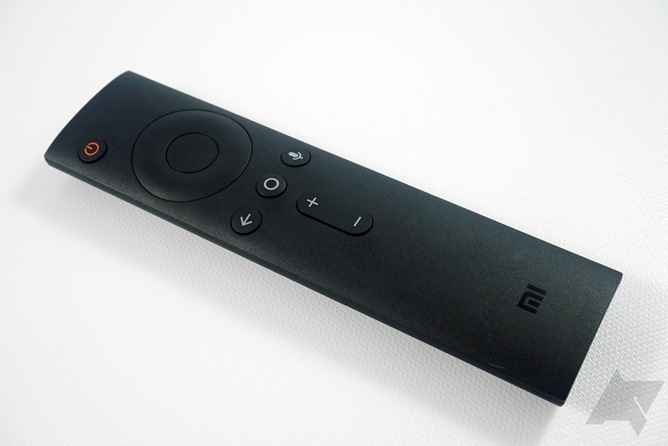 The Mi Box's remote is exactly what a set-top box controller should be: easy, simple, small. My only previous experience with Android TV is on the NVIDIA SHIELD TV, and as excellent as that device is, the $50 add-on remote is pretty awful thanks to touchy volume controls and short battery life. 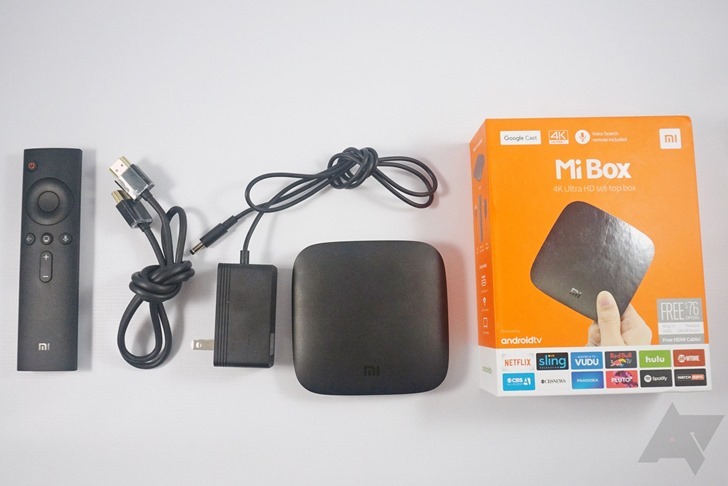 The Mi Box uses conventional plastic buttons for everything, and not many of them: a directional pad with center select button, home and back buttons, a voice command button, volume up and down, and power. The remote uses Bluetooth, so it works without line of sight and even through walls. 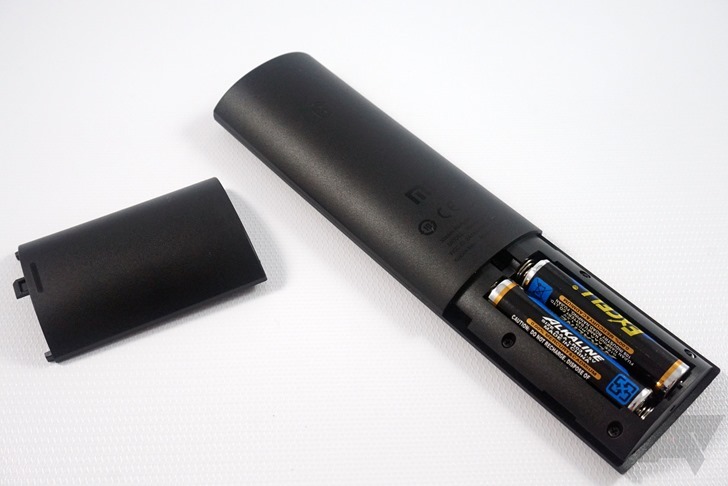 The standard AAA batteries mean it's a little chunkier than some similar designs, since it's only used for infrequent button presses and voice commands, but such is the price for avoiding d-pad keyboard input. The microphone is on the top, causing me to look like an impromptu karaoke singer every time I want to use it, but I had no problems with speed or clarity for voice commands. The mic wants your mouth to be very close to listen in, but that doesn't bother me: it means fewer false positives from other sources. I wish it had is a headphone jack for easy Bluetooth listening with standard earbuds, but again, I think the budget pricing excuses this omission. A quick mute button would be nice, too. And since I'm allowed to nitpick in a review, designers, please don't make your remotes perfectly symmetrical: it makes it hard to tell if I'm holding the right end when I pick it up in my dark living room. Like other Android TV devices, there's no universal IR port on the Mi Box (though the SHIELD TV works with Logitech Harmony remotes). 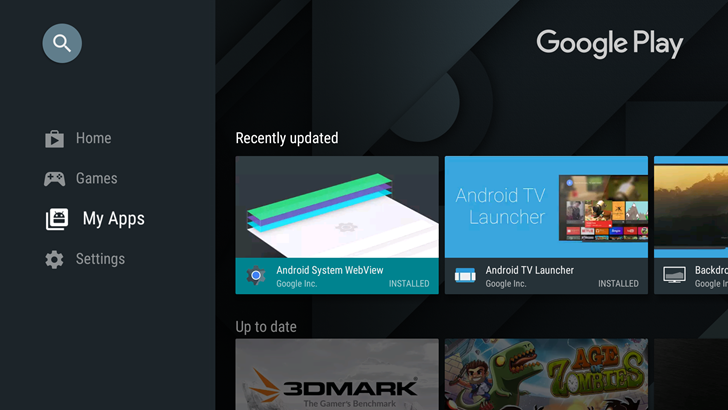 Google, having realized the error of its ways with allowing manufacturers the leeway of practically unlimited customization in standard Android, keeps a pretty tight leash on Android TV. And that's a definite plus for end users: it means that anyone who's used one Android TV device can quickly get a handle on another. Such is the case for the Mi Box - the grid-based homescreen is blessedly free of fluff, and all of the familiar apps from my SHIELD are present and accounted for. The Mi Box gave me a bit of a rough start when I initially set it up with my Google account: it offered an express installation, but balked on the login on both my phone and computer. But logging in manually was no trouble, and every other login and search was covered by an easy web connection or voice search, respectively. The homescreen is Google's Leanback Launcher, with about a dozen apps suggested but not pre-loaded, so they install from the Play Store upon first selection. 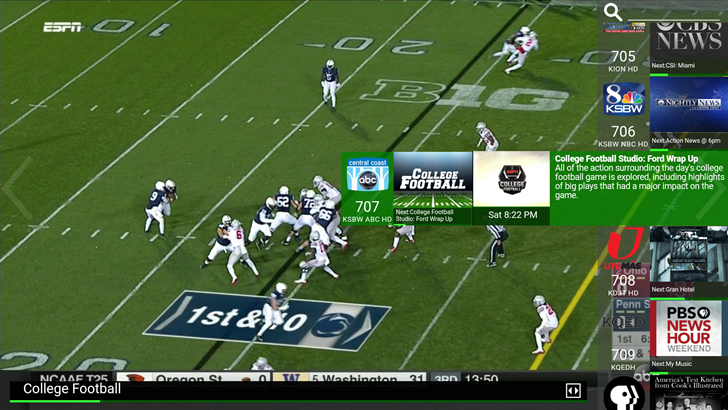 Aside from quite a few CBS apps, these are all pretty standard - I already use Netflix, HBO GO, WatchESPN, et cetera. Furthermore, diving into the somewhat haphazard Settings menu allows you to hide any of the suggested apps you wish to. Games get their own dedicated section, and the familiar suggested content ribbon sits on top of it all, pulling mostly from Google services. All of the expected bells and whistles are present. While the Mi Box doesn't come pre-rooted (not that you'd expect it from a retail device), non-Play Store apps can be installed with a security setting. Screenshots can be taken with a quick tap of power+volume down (dear Google: thank you, sincerely every Android gadget reviewer), and Bluetooth accessories like mice, keyboards, and controllers can be added easily. By the way, in addition to supporting Netflix out of the box, the Mi Box can also handle A2DP Bluetooth audio - I used a Bluetooth speaker while the device was plugged into a speakerless desktop monitor for most of this review. Both of these features are still missing from the Razer Forge TV more than a year after release, and Razer's box is $30 more expensive. Maybe bringing up the Forge TV's shortcomings in a competing product review is petty, but it's frankly insane how poorly Razer has supported its device and customers. I'll stop saying it when it stops being true: don't buy the Forge TV for any reason. 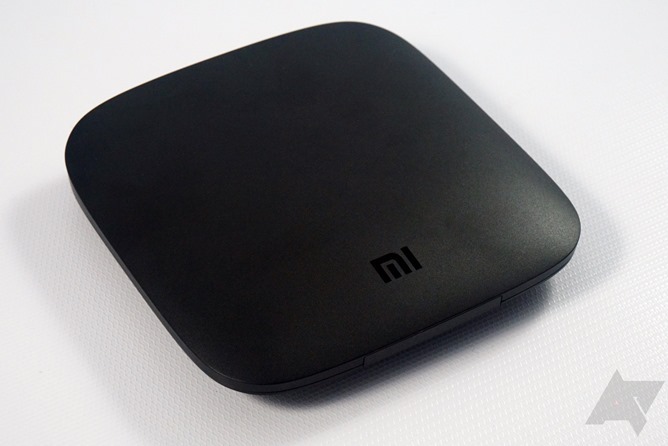 Xiaomi loads up the Mi Box with the Android 6.0 version of Android TV, with the security patch only caught up to June. Perhaps it would be too optimistic to expect Android 7.0 on a device launching in October... but it would be just as optimistic to expect any major software updates for the Mi Box. We'll see - this is the first Xiaomi Android device offered directly to retailers in the United States. 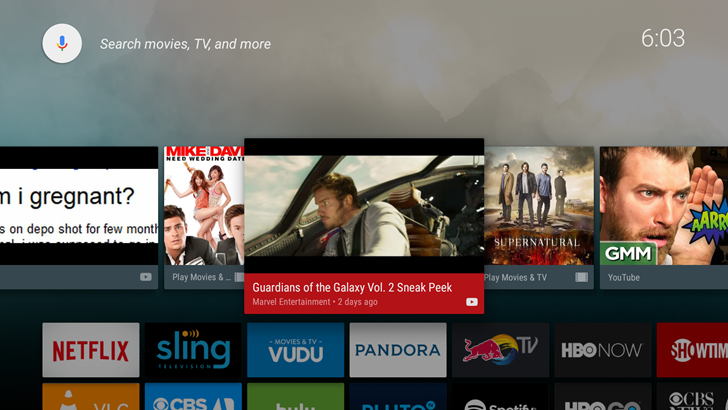 If the Mi Box has one weakness, it's the same one that depressingly clings to Android TV at large: the apps. 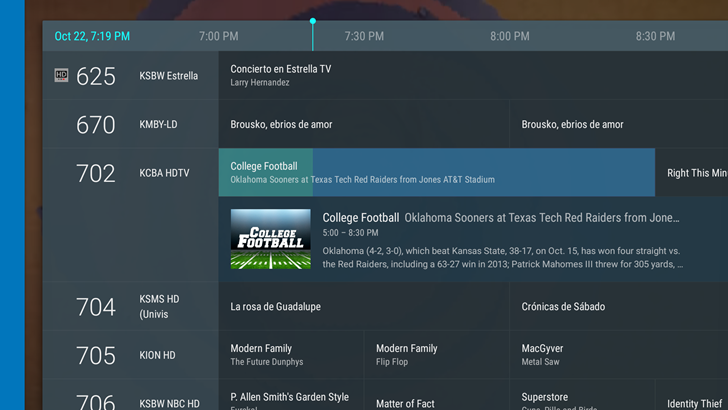 The selection of streaming applications and games for ATV is better than it was a year ago thanks to a concerted effort by Google and its partners. But there's no denying that app selection is sometimes lacking... and sometimes the apps that are on the platform are lacking, too. The obvious major exclusion for Android TV is Amazon Prime Video. That isn't the fault of Xiaomi - or Google, for that matter - but it's something that's available on Roku and Android phones and tablets that simply can't be done on Android TV. More esoteric exclusions are getting rarer. For example, the CWTV app that I rely on for my shamefully bad superhero TV shows doesn't come in an Android TV flavor (despite the fact that it does come on Amazon's Fire TV platform, Apple TV, and the Xbox). But like other sources that aren't explicitly available for ATV, I can stream it via the Cast function on my phone. There is at least one thing the Mi Box can do that a cheaper, better-supported Roku can't: stream live TV from an HDHomeRun. 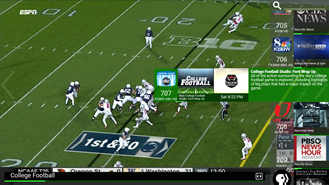 I use the roll-your-own-cable box for college and NFL football games with a basic Comcast package, and the Mi Box can handle streaming fine via either HDHomeRun's own VIEW app or Android TV's built-in Live Channels app (though it needs the VIEW app to work, so why bother?). Roku doesn't have the broader codec support necessary for HDHomeRun, nor can it play local directly off of local storage, or host a Kodi system, or a few other more advanced goodies. 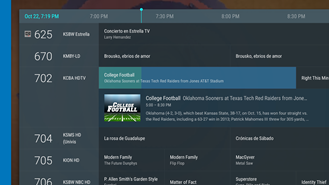 But these activities are for more advanced, dare I say geeky users, the kind who would prefer Android TV to Roku simply because it is Android. For the average user who just wants the fewest steps to the most content possible, Roku still has the Mi Box - and Android TV - beaten. 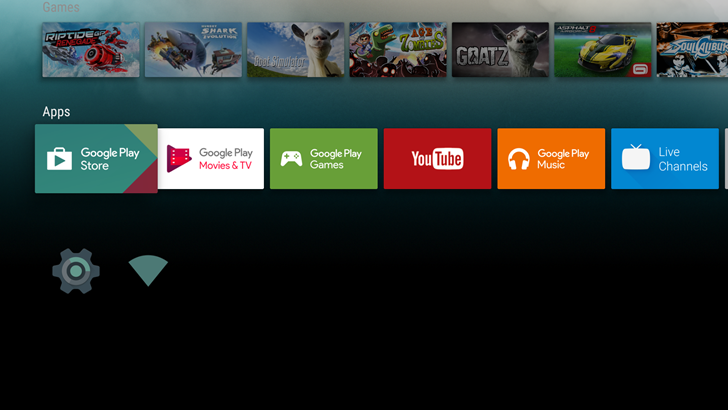 Look, if you want to play Android games on your TV, get a SHIELD. The various attempts at making an Android "mini-console" have utterly failed, and the way that Android games have to be set as explicitly ATV-compatible by developers limits even standard Android TV devices like the Mi Box in appeal. NVIDIA's dogged dedication to secure exclusive games, plus desktop PC game streaming and GeForce subscription options, make it the only really viable option in this category - everything else just gets a few casual games sprinkled on top of the standard Android TV experience. That being said, those who want a few extra games on the Mi Box won't be overly disappointed. 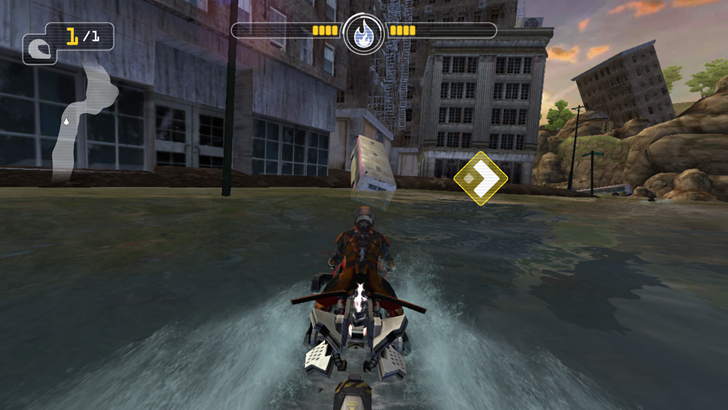 The included remote is fine for casual fare like Crossy Road, and more recent games like Riptide GP Renegade are at least playable. I wouldn't want to see them rendered at the 4K resolution the Mi Box touts in its packaging, but for a little light fare or four-player party games, it'll do. 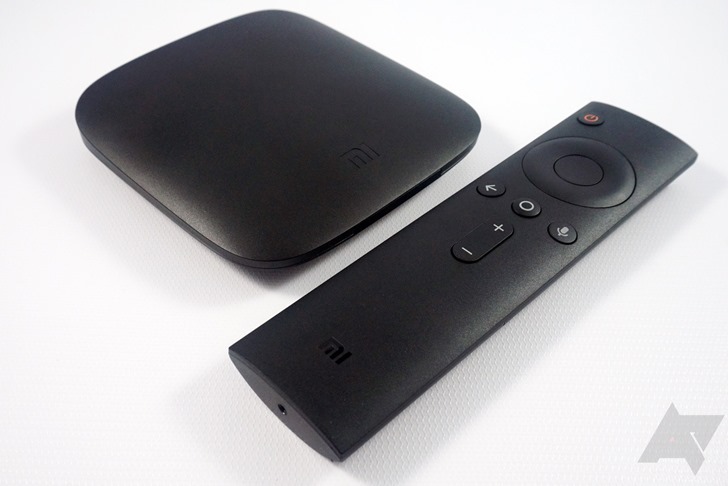 The Mi Box handles the basic Android TV interface and any streaming video apps with ease. I regret that I don't have a 4K display to test it out on, but given the immense work that's gone into preparing modern streaming for the luxury, I'm fairly sure it would handle such applications well. But there's no denying that the Mi Box is operating at a performance level well below some of its competitors. The ZenPad S 8.0 scored nearly double what Mi Box did despite being a budget tablet. So, yeah, not great. 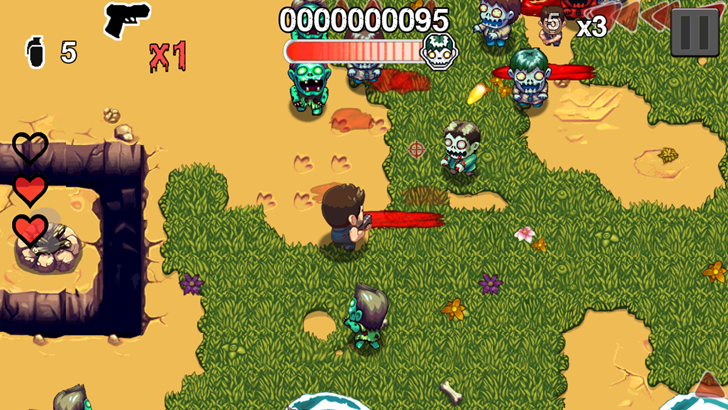 While games are fresh on our minds, let's address them. As I said above, the Mi Box is fine for less complicated titles, and handles 2D textures and light 3D well enough. 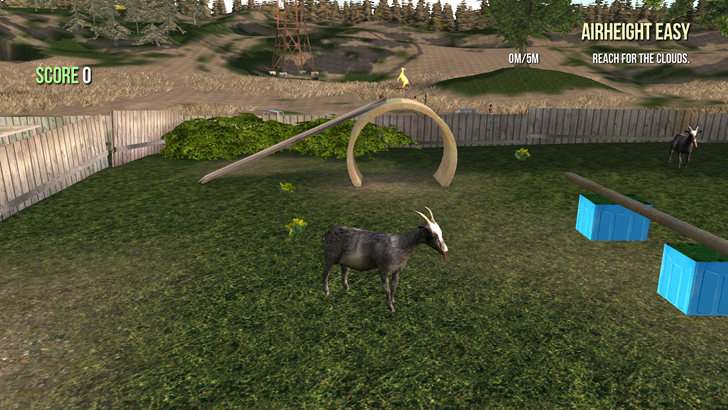 But the moment you switch to something more intense, you'll notice choppy framerates and intermittent slowdown. Renegade GP, Asphalt 8, Goat Simulator, and even lighter fare like Hungry Shark Evolution all displayed this middling performance. Even my go-to fighting game, Soul Calibur, experienced some slowdown problems - and that's a game for a nearly twenty-year-old system. Benchmarks aren't especially useful in the case of the Mi Box... because recent devices "max out" on 3DMark for the Ice Storm Extreme, the only test that runs on the Mi Box without crashing. Just for the sake of comparison, the Mi Box scores 3902 on Ice Storm Extreme. The recent Asus Zenpad S 8.0 is the only device we've seen as of late that doesn't max out the test, and it scored nearly double what the Mi Box did despite being a budget tablet. So, yeah, not great. The performance issues aren't limited to games. 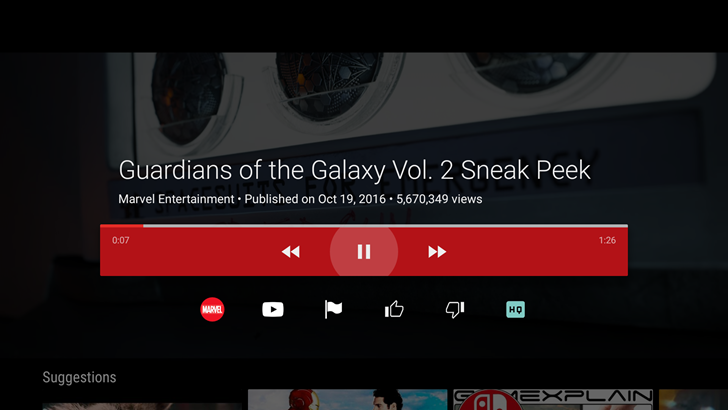 When streaming more complex Cast tasks like a video tab from Chrome, the Mi Box will often choke and let the audio drag behind the video. 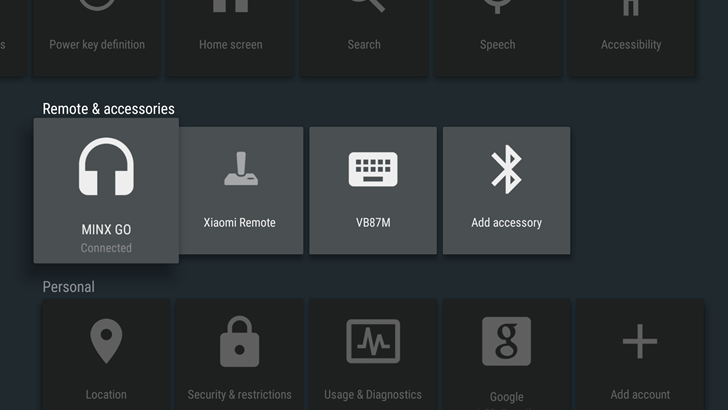 Using the Bluetooth remote for voice searches sometimes simply crashes Google Play Services. These are definitely some kinks that need to be worked out, but not dealbreakers in and of themselves. Again, a SHIELD would be better for just about everything described in this section... but not necessarily $130 better. I've already made my opinion on the Mi Box vs a comparable Roku pretty clear: get the former if you want a cheap way to tinker with Android TV that will serve almost all your streaming needs, the latter if you want something that just works with every streaming video service you throw at it. But since we're talking about Google-rific streaming gadgets at the sub-$100 price tag, there's another one we need to address. Chromecast Ultra, the 4K-enabled, HDR-compatible, beefed-up Chromecast model, is coming to the market next month. It will also cost $69. In a head-to-head competition, the Mi Box has the Chromecast Ultra beat dead to rights. Aside from the obvious advantage of local apps in addition to Cast functionality, the Ultra lacks its own remote - Android TV gives you the choice of phone control or more conventional remote buttons. Add in games, middling performance issues notwithstanding, and Xiaomi's offering is clearly the better deal. 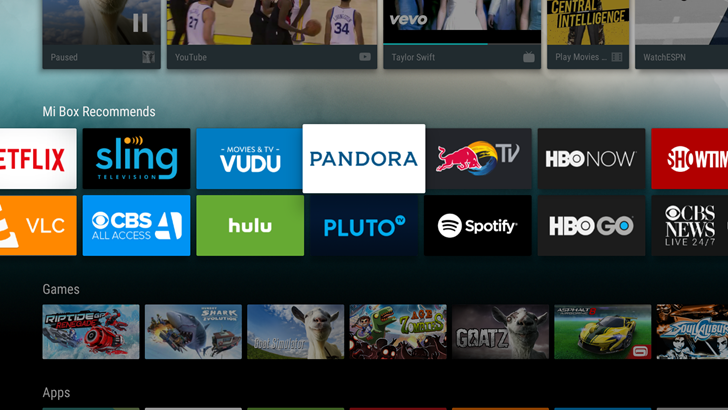 It's worth noting here that Google has discontinued the Nexus Player and made no mention of Android TV at the recent hardware refresh, so the platform's health isn't looking great for the long term. 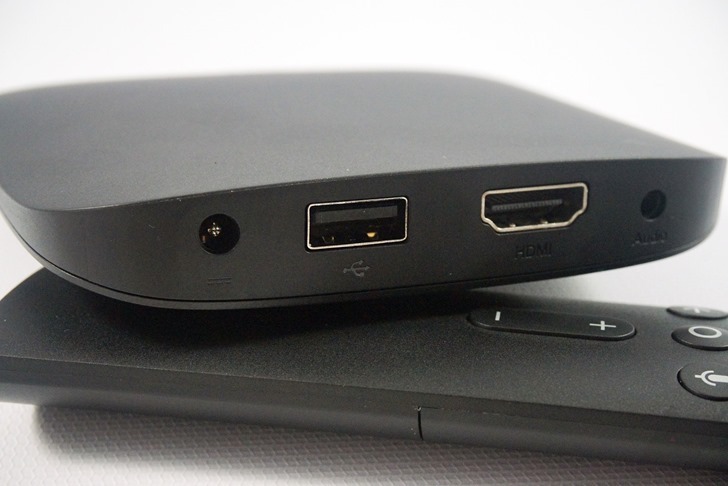 Even with poor performance, the Mi Box is demonstrably the best deal for an Android TV set-top box. But next to the $35 standard Chromecast suddenly those apps and games seem less appealing, especially if you don't have a 4K TV. Odds are pretty good that the phone in your pocket can handle games better than the Mi Box, and it has a bigger selection on the non-segmented Play Store too. 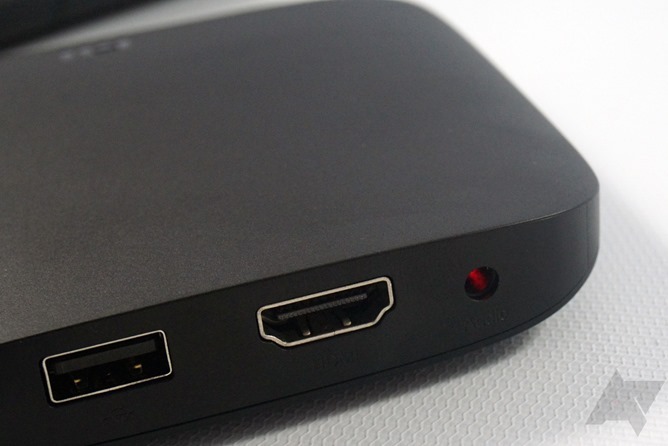 Get the Mi Box if you want a cheap way to tinker with Android TV. For those who are fine with 1080p, the Roku Streaming Stick offers all the same features as the Mi Box for $20 less, and the Amazon Fire Stick is $30 less. The Roku Premiere can handle 4K video for just $10 more... and if I was in the market (and my job didn't depend on knowledge of Android), that's probably the set-top box I'd get. 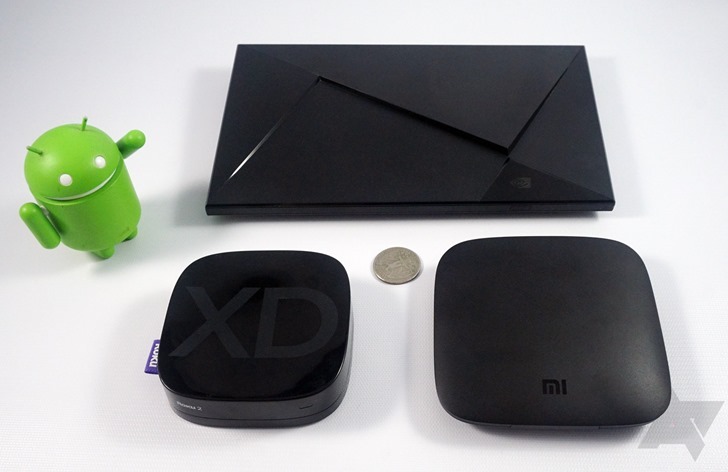 Much like Google's various Chromecast offers, Xiaomi is sweetening the pot for the Mi Box with a ton of intangible extras. Buyers get free access to three months of Pandora premium music, a $5 VUDU movies credit, one month free of CBS All Access, and most impressively, $50 of credit for Sling TV. Unfortunately you'll need to prepay for three months of Sling - a $60 minimum - to get that last bit, which makes the "$76 of free offers" badge on the retail box ring a little hollow. 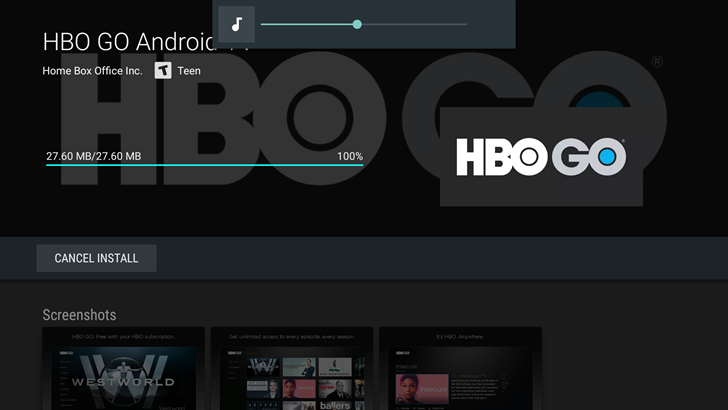 As a relatively cheap way to check out Android TV the Mi Box is an easy recommendation, much more so than the discontinued Nexus Player or the expensive SHIELD TV. "You get what you pay for" is a cliché, but it applies in this case: don't expect anything much past solid video app performance and a good user interface. 4K compatibility is impressive, and might be the one thing that puts the Mi Box ahead of similarly-priced offerings from competitors. If you need a simple streaming gadget with as many apps as possible, and you're fine with 1080p for the time being, there are better choices. Ditto for gamers: assuming that you don't have a recent console already, the SHIELD is the clearly superior choice. But if you have seventy greenbacks burning a hole in your pocket and you're dying to give Google's TV experience a try, go for it.